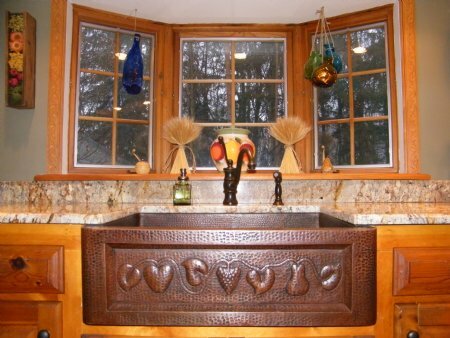 "I wanted to send you some pictures to show you how absolutely gorgeous the sink looks. Everyone who sees it loves it and thinks that it is so unique. I am very happy with the sink. It fits in perfectly with our farmhouse decor. I also want to thank you so very much for all your help. You were terrific to deal with. Very kind and courteous with a very joyful and helpful attitude. Thank you so much for sending me pictures of the dark smoke sink. It is always hard to visualize something unless you see it. I would definitely order from you and this company again."